Dera Sacha Sauda makes India proud once again by standing first at Australia Clean Up Day in terms of number of volunteers registered and amount donated for clean up drives (Australia wide). Dera Sacha Sauda had made India proud so many times, they already have 55 world records in their bag. Once again DSS volunteers made us proud by shining bright in Australia Clean Up Day. Dera Sacha Sauda Australia volunteers participated in Australia Clean Up day which is a yearly event organized by Australian government to generate awareness towards the need of clean environment. 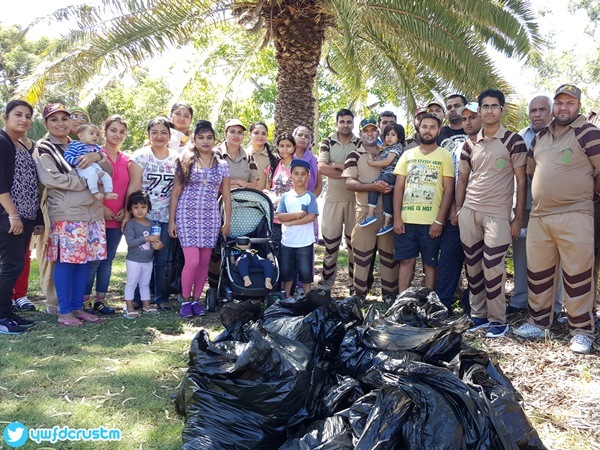 Hundreds of volunteers from Dera Sacha Sauda Australia participated in these clean up drives. Later during the day representatives from local councils visited the site where they appreciated not only the hard work of volunteers, they also appreciated their enthusiasm with which they work. When asked what inspires these volunteers to work selflessly for humanity, all had only one thing to say that was their teacher Saint Dr. Gurmeet Ram Rahim Singh Ji Insan inspires them, all the credit for what they have done & will do in future must go to the teachings of their Guru.